Hatten Cares has won our FIRST international award for our contribution to the community! Thank you to the SME One Asia Awards 2014 for this honour! On 12 Nov ’14 at the Marina Bay Sands, Singapore, Hatten Cares, the CSR arm of multi-award winning developer – Hatten Group – was the announced as the winner of the coveted HOFFEN Award 2014. 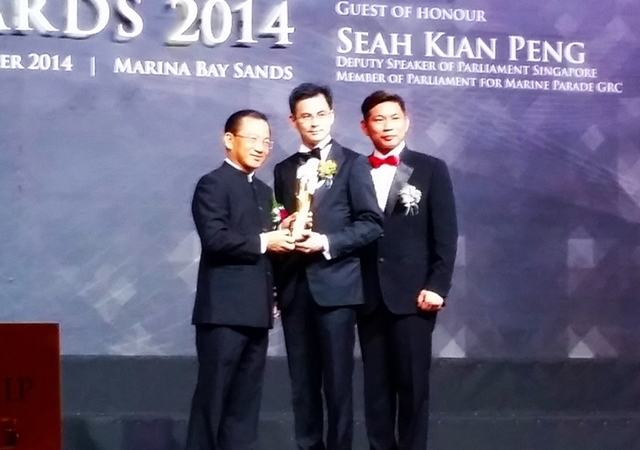 Group Chief Executive Officer of Hatten Group, Mr. Edwin Tan, received the award on behalf of the team. Started in 2009, Hatten Cares is passionate about giving back to the communities that Hatten Group operates in. Focusing on 3 core elements (environment, healthcare and public welfare), the team continues to channel its corporate resources to society and to spread awareness on issues pertaining to the environment. Its charitable efforts have spread from Melaka to Singapore. The goal is to help create a more caring and eco-friendly community. 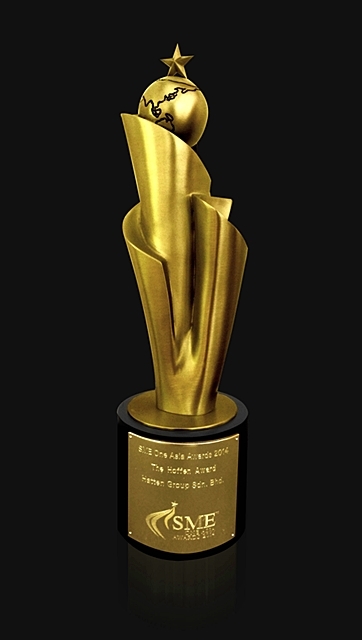 The Hoffen Award is an acknowledgement that Hatten Cares is on the right track towards achieving our goals! INFO: The Hoffen Award recognises the faith and commitment of companies that bring new life and revival to living spaces, as well as honouring the companies which contribute to the betterment of the environment and people’s lives. This award is meant to inspire people and social groups to make a difference, and for businesses to go beyond profit making. This entry was posted on November 26, 2014 by Hatten Cares in Hatten ♥ Community, Hatten ♥ Eco-Dev, Hatten ♥ Mother Earth, Hatten ♥ Pets & Wildlife and tagged charity, community outreach, corporate community, CSR, Eco-friendly, edwin tan, hatten group, Hoffen Award, SME One Asia Awards 2014.